The Mindfulness Based Stress Reduction (MBSR) program developed by Jon Kabat Zinn at the University of Massachusetts Medical School is now a global phenomenon with programs running in every continent. Mindfulness studies conducted from the school’s Center for Mindfulness in Medicine, Health Care, and Society, and involving over 20,000 patients, have created a foundation of empirical research that documents the benefits of mindfulness for healing and well-being and for dealing with anxiety, chronic illness and pain. Participants in the MBSR program build mindfulness skills by practicing together and on their own over a period of eight weeks. By the end of the eighth week, attendees have a clear understanding and experience of how to practice mindfulness, and many have established a regular meditation practice. The benefits of the program are multifaceted: reduced stress, better ability to deal with chronic pain and illness, and healing from traumas and losses. MBSR is standardized to ensure the evidence-based program follows methods that have proven to have maximum benefit through over 25 years of solid research. Recently, when I attended an MBSR class in Silicon Valley, the number of high tech employees who were suffering from anxiety disorders touched me. Anxiety disorders are debilitating as well as increasingly prevalent. Stanford University has developed a program that studies treatments for anxiety disorders without medication. MBSR is one component of the program, which also includes applications of neuroscience and brain imaging to study the effects on participants’ brains as they go through the program. For some years neuroscience has been researching the effects of meditation on the brain. 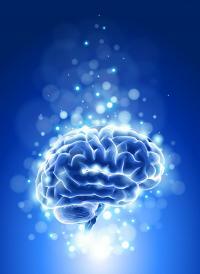 This research has been facilitated by advancements in brain imaging. When results of study after study showed benefits to brain functioning through mindfulness meditation, interest in mindfulness began to expand exponentially. A New York Times article by David Hochman: “Mindfulness at Every Turn” covers the recent convergence of business, high tech, and mindfulness. With the development of the Wisdom 2.0 Conference, the tech world joined the rising tide of interest in mindfulness. The growth in attendance at this conference is a clear indicator that mindfulness is now mainstream. Mindfulness meditation in business is designed to support leaders and improve individual and organizational performance. Google’s Chede-Ming Tang wrote, Search Inside Yourself, based on the program he developed at Google, the Search Inside Yourself Leadership Institute. The program has drawn formidable mindfulness teachers, such as Jon Kabat Zinn, Daniel Goldman (author of Emotional Intelligence), and Thich Nhat Hanh, to teach meditation techniques for Google employees. Today, Google is a leader in the mindfulness stream. It’s fame and influence as a leader in new technologies and innovation has sparked other tech companies’ interest in adopting mindfulness as organizational practice. The Huffington Post’s Lodro Rinzler writes about the convergence of business, social change, and mindfulness. Rinzler bridges Buddhist values with mindfulness in business, while not neglecting the ethical foundation that is essential to mindfulness practice—a foundation that is often overlooked as mindfulness goes mainstream. When I read the above-mentioned NY Times article this week, I was happy to learn that mindfulness had become so mainstream. At the same time, I was concerned that the values that to me are the heart of mindfulness appeared to be absent. To meditate for one’s own gain is natural, and yet central to mindfulness meditation are fundamental teachings that help us move away from a self-centered approach to our lives—an approach that uses the benefits of mindfulness for one’s own gain. As I read the article “Mindfulness at Every Turn,” I noted that people were using mindfulness to get promoted, to increase earning power, or to benefit one’s self in tangible ways. Fundamentally, when the Buddhist emphasis on ethics is removed, the understanding of interconnectedness and compassion fade to the background. The fact that mindfulness is becoming mainstream is a good thing, but I still feel the tension between the simple teaching of kindness and compassion vs. better brainpower and improved performance. I want business leaders to practice mindfulness because it helps them be more compassionate, more self-aware, and more in tune with the larger forces that are moving in an organization, its people, and in the world. Unfortunately, I haven’t yet heard a business leader talk about the value of kindness. · When the annual performance reviews come up, how can we infuse the process with kindness and compassion? · When we go after market share, how can we do it with greater understanding of interconnectedness? · When we create products, can we remember the needs of the earth and living systems? The convergence of technology and mindfulness also is a good thing. The ability to focus, expand our understanding, increase our ability to think through tough issues are important capabilities. But it is also important to remember the value of kindness, compassion, and interconnectedness.